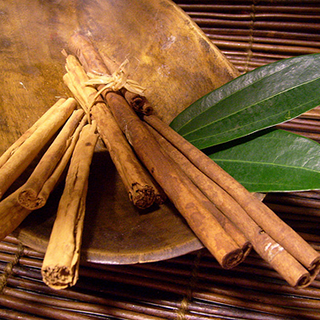 An ancient spice, the inner bark of cinnamon leaves a pleasant and warm taste on the tongue. Its undoubted health benefits are not that well known. Recent research points to an entirely new use for it; cinnamon appears to help to boost your metabolism, and work with insulin to help stabilise blood sugar levels in the body, making it an ideal seasoning for people with diabetes or pre-diabetes. Cinnamon has been found to significantly reduce blood sugar levels, triglycerides, bad cholesterol, and total cholesterol levels in people with type 2 diabetes, as well as increase glucose metabolism by about 20 times, which would significantly improve the ability to regulate blood sugar. Making cinnamon water requires just two ingredients but you have your choice of techniques. One method is to simply drop a cinnamon (or cassia) stick in a pitcher of water and chill overnight. The water will become infused with subtle flavour; however, it will lack the lovely blush colour of the water. To coax out the colour, simmer the cinnamon in a pot of water on the stove; a ratio of 1 cinnamon stick to 1 cup of water works well. Cool the liquid and use it as a concentrate to mix with cold water and ice. It's quite good with fizzy water, too. Take 2–4ml a day of a 1:3 tincture or max. 30ml (1 oz) per week for stabilising blood sugar levels. Add 1/4 - 1/2 tsp (1-3ml) of ground cinnamon to your favourite tea and drink daily to help lower LDL (bad) cholesterol, and triglycerides in people with type 2 diabetes. Place 1 thinly sliced apple at the bottom of a pitcher together with 1 cinnamon stick. Cover with ice about half way up then fill the remaining space with water. Place in the fridge for 1 hour before serving. This will last for 24 hours in the fridge. You can re-fill with water 3-4 times before replacing the apples and cinnamon. Try this for a week to aid in boosting your metabolism and as an excellent substitute for sugary or artificially-flavoured drinks. To make the bath salts, stir 3 tbsp (44ml) cinnamon powder and 1 tbsp (15ml) gingerroot powder (optional) into 1 cup sea salt (230ml). Store in a sealed glass container. To use, add 1/4 cup of the bath salts to a bathtub filled with warm water. Cinnamon is warming, decongesting, antiseptic, and antiviral and is a wonderful aid for colds and congestion. Grows best in almost pure sand, requiring only 1 per cent of vegetable substance; it prefers a sheltered place, constant rain, heat and equal temperature. Cinnamon is harvested by growing the tree for two years, then coppicing it.